Floormat.com, an Ohio-based matting company, has decided to focus on the online mat market after adding a secure shopping cart to its website. The company is highly regarded for its extensive product catalog. 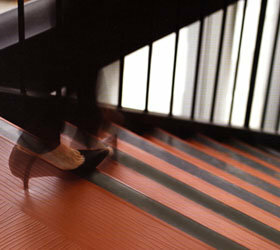 Floormat.com is a well established mat manufacturer and vendor based in Etna, Ohio. In addition to manufacturing and selling its own matting products, the company also distributes matting materials from other esteemed matting companies in the country. Renowned for its innovative business approach, the company has gone one step ahead of the rest in the matting industry by launching a fully functional online matting store. Floormat.com has established a fully fledged online matting shop on its website. The company has added a fully functional and secure shopping cart to its website to enable customers to buy mats from its website conveniently and safely. Floormat.com was founded over 60 years ago in the state of Ohio. Originally established as a distributor of matting products, the company has grown tremendously over the years and it now manufactures most of the matting products it sells. The company has also developed an extensive distribution network for its in-house matting products and also for vending other well established matting brands. The company's management attributes its massive growth and incredible business success to its innovative business model. Apparently, the company has invented or helped invent a huge variety of matting products. Over the years, Floormat.com has established a remarkable web presence by featuring a comprehensive matting catalogue on its utilitarian website. However, Floormat.com did not have a functional shopping interface for instant, direct, and secure sales/purchase transactions on its website. Tediously, customers had to fill-in a static order form and submit it, and then wait for the company's sales team to call or contact them about their orders. Alternatively, customers could place orders by calling or emailing the company's sales department directly. This was also a very irksome process because the phone lines could be busy for hours and the order emails could be held up for several days. Obviously, the whole process was inconvenient, inexpedient, and time-consuming. Customers wishing to shop for mats using the shopping cart should navigate the functional and user-friendly website; searching and choosing the desired matting products. The customer should then select the desired quantity before clicking the "Buy Now" button. He/she should then click the "Check Cart" button to redirect to the SSL secure payment portal and view the entire order. Finally, the customer should click the "Checkout" button to input payment details and then click on the "Order Now" button to conclude the transaction. Currently, Floormat.com manufactures and distributes a wide range of mats and matting materials including industrial mats, entrance indoor-outdoor mats, custom floor matting, heated floor mats, anti-slip products and other safety solutions. With this new move, the matting company has managed to eliminate all geographical limitations in its marketing strategy; enabling it to tap the global matting market. Evidently, the company aims to woo online matting customers from around the world and establish itself among the industry giants.